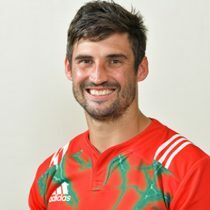 Educated at Queens College, the flyhalf moved to the Cheetahs straight out of school and went on to represent the South African U20s and Cheetahs Currie Cup team in 2009. 2010 saw a move to Cape Town where the back made his Super Rugby debut for the Stormers and turned out for Western Province in the Currie Cup. Lionel remained in the Cape until a move to the Bulls in 2012 and the Lions in 2013. Cronje then had a short stint with the Brumbies where he appeared 3 times for the Canberra side in 2014 and returned to South Africa that same year to represent the Sharks in Currie Cup, having signed a two-year deal. He was called into the Sharks Super Rugby squad in 2015 and appeared 7 times throughout the competition. He was released from his contract in November 2015. Cronje was called into the Southern Kings squad ahead of the 2017 Super Rugby competition. In June 2017, he was confirmed to have signed for Japanese side Toyota Verblitz.